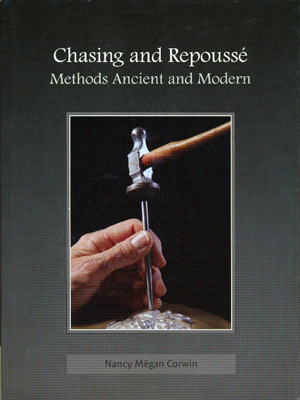 Virtually every culture with a history of metalsmithing has demonstrated accomplished work in the complementary techniques of chasing and repousse. From delicate Hellenic earrings to works as massive as the Statue of Liberty, the use of hammers and punches to form and ornament metal remains as vibrant today as it has in its 5,000 year history. This lavishly illustrated book provides first-time artists with enough information to get started, but also offers advanced workers insights into design and process. Almost 500 photos and drawings guarantee not only clear instruction but bounteous inspiration. 184 pages (Hard Cover) 8 x 10 3/4"